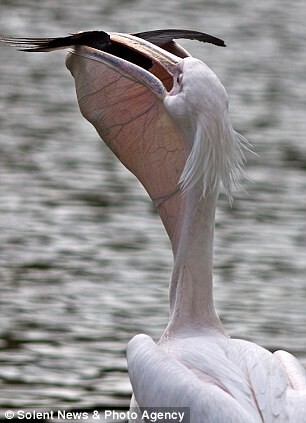 Photographer Paul Mansfield, 44, captured this remarkable scene of a pelican eating a small bird while on a day trip to London with his family. 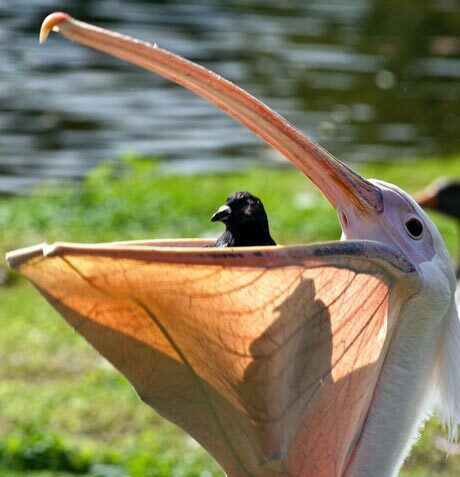 The pigeon had been pecking at crumbs in St James’ Park, Westminster, when he was targeted by the pelican. Mr Mansfield said: ‘I noticed a small crowd gathered at the side of a lake that was ‘oohing’ and ‘arghing’. 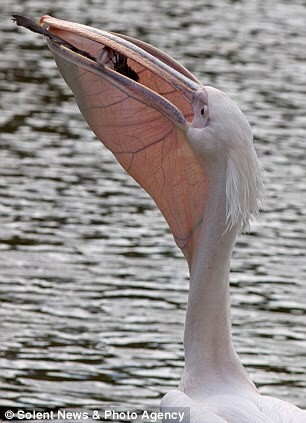 Pelicans, who are carnivorous but tend to stick to fish, have been living in the London park for over 50 years but this is believed to be the first time one has chosen to eat one of its feathered friends. Nice Photography. Thanks for sharing this one.